The Village of Cary, with a population 18,271 (2010 census), was founded by William D. Cary in 1833 and was incorporated in 1893. 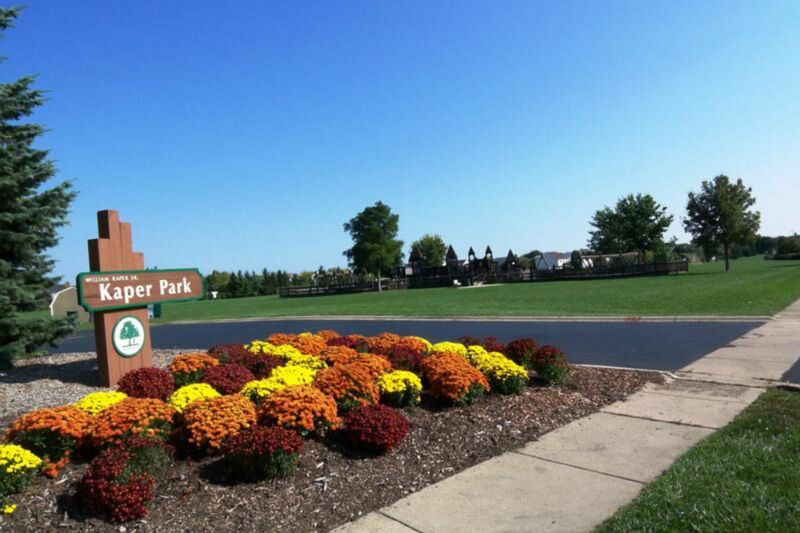 The village is located in picturesque McHenry County and is approximately 45 miles from downtown Chicago and 30 miles from Chicago O'Hare International Airport. Easy access to the City of Chicago by way of the Metra train that passes through the heart of downtown Cary makes the village an ideal residential and business location. The village covers 5.9 square miles and is bordered by the Village of Algonquin to the south, the City of Crystal Lake to the northwest, the Village of Lake in the Hills to the west, the Village of Oakwood Hills to the north, and the Village of Fox River Grove on the east. The beautiful Fox River borders the southern boundary of Cary. The village is a recipient of the Governor's Home Town Award and has been recognized as a Tree City USA community since 2008. Cary's founder was William Dennison Cary, who purchased 82 acres of land in 1841 for $1.25 an acre in what would become Cary Station. Mr. Cary continued to purchase land and built a house for his family on part of his property located at 9 West Main Street. Shortly after Mr. Cary's land was officially recorded on February 23, 1859, the railroad purchased a strip of his property and built a single track railroad. The train station would also be built on this property and Cary Station became the first name for the community. In 1893, Cary Station had 300 residents and they voted to incorporate as a village. At that time, approximately one-third of Illinois' 3.8 million residents were farmers and Cary was no exception. Cary's earliest families can be traced to the farms they owned. With a rail line running through the community, Cary's farmers were able to diversify, utilizing their produce for a lucrative pickle business that brought buyers from Chicago and St. Louis. This business enterprise was the beginning of Cary's evolution from an agriculturally-based community to the suburban community it is today. Trout Valley is secluded with many amenities to support a rich and varied style of living. Whether your passions include equestrian sports, tennis, swimming, hiking, fishing or just plain entertainment of friends, Trout Valley provides member-only access to facilities for support of these activities. Access is available to the Fox River and Chain-of-Lakes from a private beach area, which includes a playground, basketball courts, a marina, boat launch area, and a state-of-the-art community center. There is a second community center available for larger gatherings. The Valley has its own swimming pool and tennis courts whose membership is open only to residents. Formal and informal clubs exist to further interests and knowledge in such areas as gardening, books, and area history. Several times a year, the residents can enjoy Association- and Village-sponsored social events geared to young and old alike. Updated: 19th April, 2019 11:03 AM.